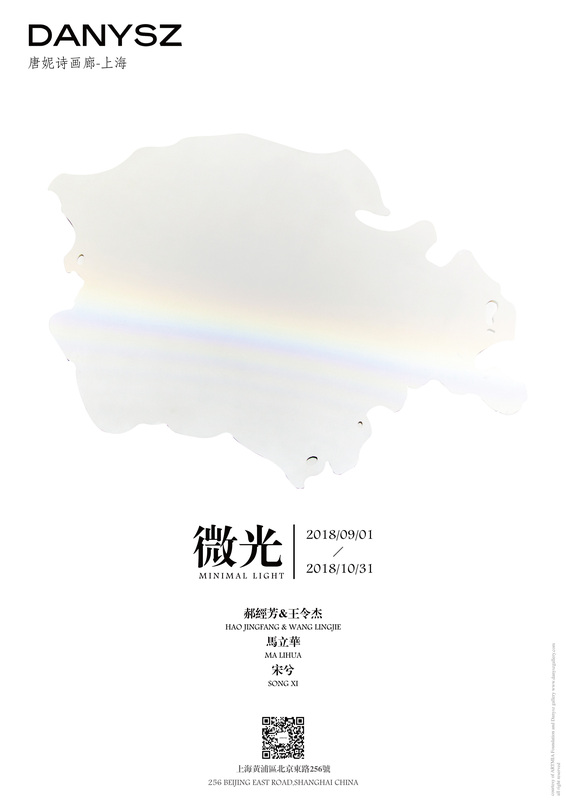 Danysz gallery – Shanghai presents a group show of four contemporary Chinese artists this autumn. The title of this group show – Minimal Light, is inspired by a poetry of the legendary Canadian poet and singer Leonard Cohen “Anthem”. In this poetry, he writes: “there is a crack, a crack in everything, that’s how the light gets in.” Light from the crack is usually very small, but it represents a glean hope of survival. In this case, light becomes a kind of spiritual awareness. In Minimal Light, you can discover Hao Jingfang & Wang Lingjie’s newest creations which come from the on-going project “Rainbow”. They have created several shapes of lakes facing of the danger of drying up. In this installation, light is brought in where refraction and reflection of the microspheres composes a rainbow for the viewers from different perspectives. Minimal Light also presents several conceptual artworks by Song Xi. His video “Ode to Joy” recorded his performance. In the darkness, he patted the flies with electric flapper. Sparks are produced, and they are as beautiful and brilliant as fireworks. This light reminds us of a collection of poems Fireflies by Rabindranath Tagore. He once said: “You tiny, but you do not small.” Firefly is a small insect with weak light. However, once gathering lots of fireflies, they shine for the world to see. Another key word of this group show is “minimal” which can be interpreted by Ma Lihua’s paintings. In his creation, the underlying language of white and sand is combined, through the interspersed handwriting, to combine a deep sense of space, forming a rhythm and feeling. Ma Lihua expresses the true spiritual world by means of an appropriate abstract image.